I'm back from my vacation in England and of course I brought some goodies in form of photos and videos with me. 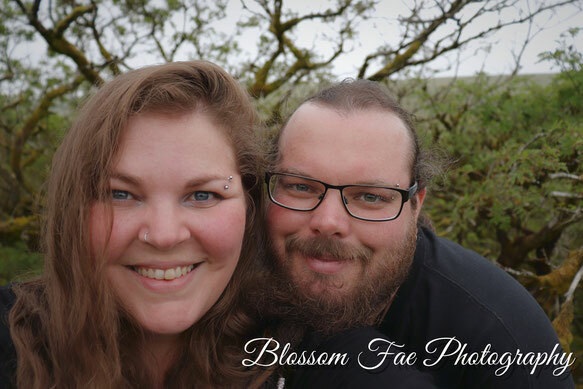 It was a beautiful holiday and I've seen many marvelous things, one of the wonders I was able to see is Wistman's Wood. We can find this place in Devon, Dartmoor. It is believed that this forest is 7000 years old and many tales of Druids, ghosts, the Devil and a host of other supernatural creatures abound, some dating back to the long lost ages before man could write. 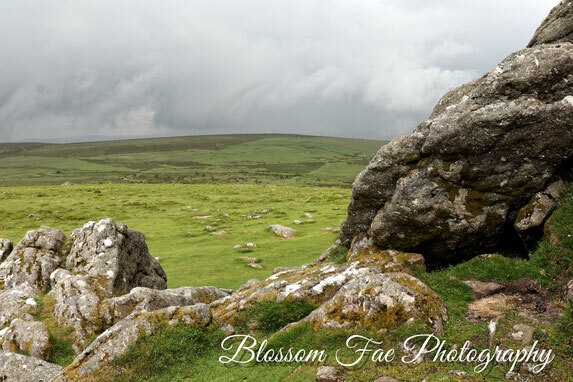 It is often described as the “the most haunted place on Dartmoor”. The wood is also connected to the Wild Hunt and it is said never to dwell in this forest after sun set, because come nightfall, the woods turn from sacred sanctuaries into kennels for Wisht Hounds, who hunt across the moors at night in search of lonely travellers, followed by their leader – the wild huntsman. The dogs are said to have yellow eyes, huge fangs and a howl that echoes along the misty moors when they are out chasing prey. 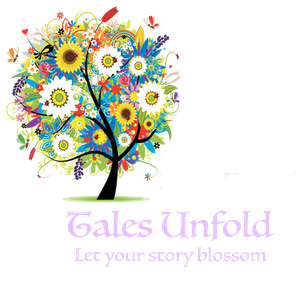 The Wild Hunt is an ancient legend, with roots in primal Pagan beliefs, and also as I am very fascinated by this myth and you can find a meditation and Tarot spread about it here on my blog. It depends on what part of the moor you meet them, but the Wisht Hounds can also be led by the Devil or occasionally by the ancient spirit of Dartmoor known as ‘Old Crockern‘ who lives nearby on Crockern Tor. Other legends say that Wistman’s Wood was a sacred grove of the Druid’s and it was here that they held their pagan rituals. The huge boulder that you can see here has become known as ‘The Druid’s Stone’. Apparently, they conducted rituals here beneath the oaks, carving spirals and symbols into the moss that you can still see today. It takes little imagination to see why this is seen as a spiritual place. There’s a lot of debate about the origins of the name Wistman’s Wood. Some people believe it ties into the Druid legend, meaning wise man’s wood. The word wis is related to the Saxon word ‘to know’, with ‘wissman’ meaning ‘Wood of the Wise Man’. A more popular opinion, considering the wood’s location, is that it derives from the Devonshire word "wisht", which means pixie-led, or haunted. 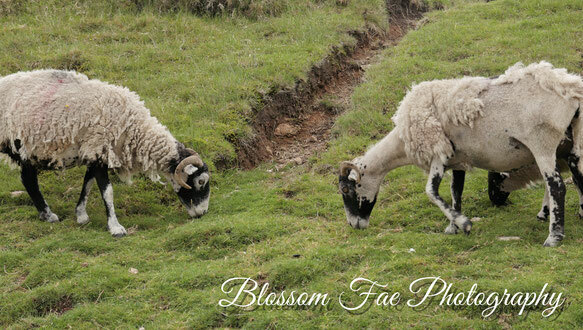 Dartmoor is well known for its pixies, who seem to haunt every tor and outcrop. 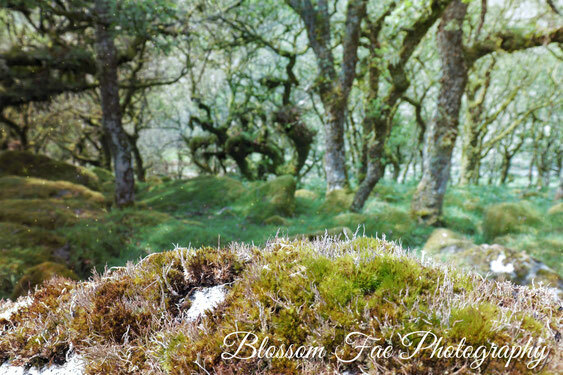 If the name is correct, then Wistman’s Wood is one place where you can surely expect to be pixie-led if you aren’t careful. 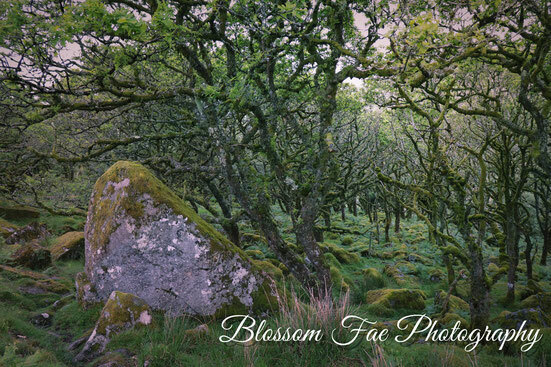 Wistman’s wood is thought to be the last remnants of a forest that once covered the entirety of Dartmoor, with this particular patch and trees being around 500 years old. At nine acres, it’s a wonder why such a small area has been left untouched. So the stories of Druids, ghosts, the Devil and a host of other supernatural creatures have kept humans away for millennia. This is definitely a reason why the wood still exists on the moor. 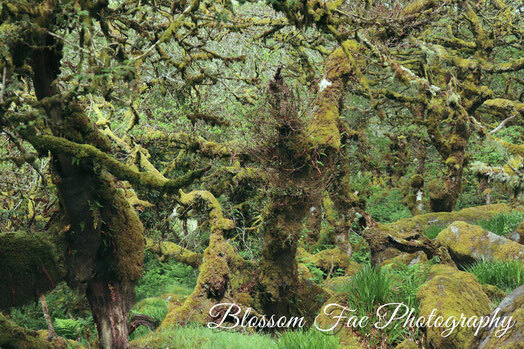 The oaks grow barely taller than 7 meters high, and their tangled branches and the uneven rocky floor make it impossible for Dartmoor ponies and cattle to enter. Its inaccessibility keeps it protected from destructive grazing. Or is something more magical the reason why this part still exist today ? Whatever the reason may be, it is a beautiful and magical place.